Jordan C. Lubeck – Kissinger & Fellman, P.C. Jordan Lubeck is an associate at the firm of Kissinger & Fellman, P.C, since May 2015. He received his Bachelor of Arts degree, in 2007 from the University of Michigan at Ann Arbor, and his law degree in 2011 from the University of Denver College of Law. Jordan was previously employed as a Deputy District Attorney for the 17th Judicial District Attorney’s Office, Brighton, Colorado. Jordan’s practice includes criminal defense, ranging from traffic citations and DUIs to serious felonies including drug, theft, and assault cases (for a complete list please see our Criminal Defense page). 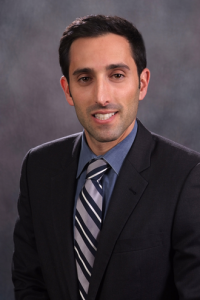 Jordan also practices in the areas of municipal law and civil litigation. Jordan’s civil practice focuses on the defense of law enforcement in internal affairs investigations and the defense of law enforcement and municipalities in §1983 civil rights cases. Jordan also handles cases that involve insurance defense, including trucking accident cases, personal injury, premise liability and other litigation. Additionally, in the area of municipal law, Jordan is the Town Attorney for the Town of Empire, Colorado. Jordan has written publications for The Transportation Lawyer including Vicarious Liability and Negligence Law in October 2017, and Discoverability and Admissibility of Preventability Determinations in July 2016. In 2018 Jordan was recognized as a Rising Star by Law & Politics Colorado Super Lawyers, a listing representing the top 5% of Colorado Attorneys. Jordan is a member of the Colorado Bar Association and the Denver Bar Association.